A good friend of mine who lives in Portland, recently finished his attic. He has been talking about adding a third bedroom and a second bath up there for as long as I have known him. He recently finished the project. 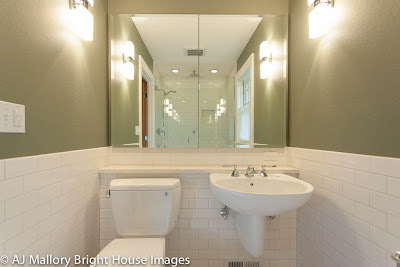 Here is a shot of the bathroom, I'm waiting for him to furnish the space before I photograph it, so stay tuned for those images.